Now, with the introduction of BCM-95 Curcumin, the new DOUBLE STRENGTH 650mg enhanced bioavailability Bio-Curcumin from Health Thru Nutrition, the chances for positive effects have been greatly increased! Curcumin is the main component in the spice turmeric, and is most studied for its antioxidative and anti-inflammatory properties. 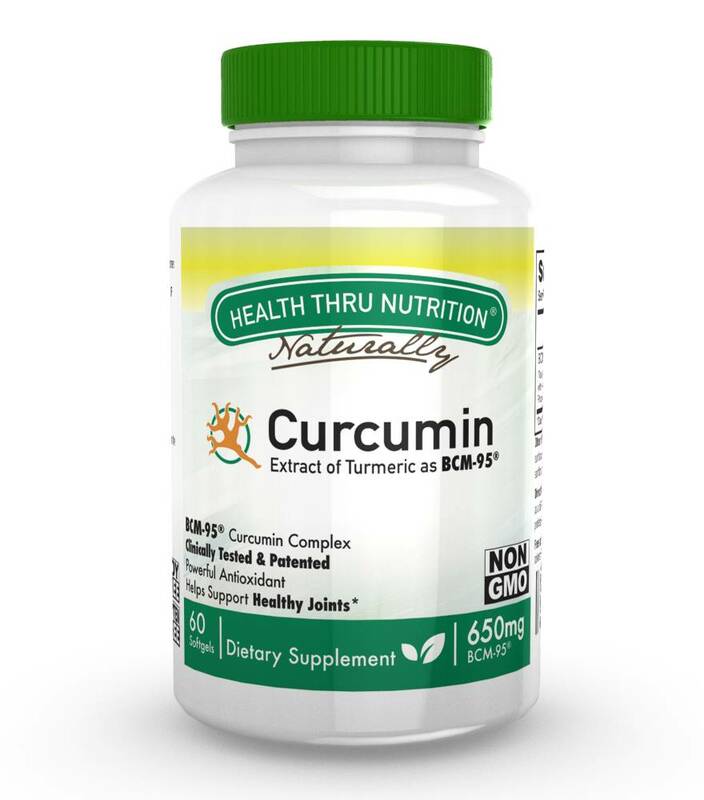 Curcumin has been shown to support a healthy inflammatory response in the body’s heart, blood vessels, arteries and brain while also improving joint health1,2,3,4,5. While numerous clinical studies report on the vast benefits of curcumin in both animals and humans6, the poor oral bioavailability, or amount absorbed by the body, of curcumin may curtail the possible benefits. What makes BCM-95 Curcumin better? Fortunately, BCM-95 Curcumin is an enhanced formula that dramatically increasing the bioavailability and sustained retention time of curcumin in the body by using a patent pending curcuminoids complex. This enhanced formula was found to have increased the bioavailability of curcumin by more than 8 times the standard available curcumin on the market, dramatically increasing the potential for benefit7,8,9! 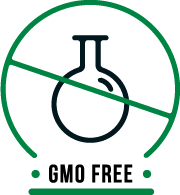 As with all our products, BCM-95 Curcumin is manufactured in a certified cGMP facility here in the USA. 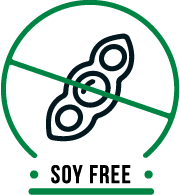 Each softgel contains 650mg BCM-95® Curcumin and are free of GMOs, pesticides, soy, gluten, milk and milk by-products, eggs and egg by-products, fish and fish by-products, shell fish, tree nuts, wheat and wheat by-products, peanut and peanut by-products, artificial colors and preservatives. 1Aggarwal BB, Harikumar KB. “Potential therapeutic effects of curcumin, the anti-inflammatory agent, against neurodegenerative, cardiovascular, pulmonary, metabolic, autoimmune and neoplastic diseases.” Int J Biochem Cell Biol. 2009;41(1):40-59. 2Ono K, Hasegawa K, Naiki H, Yamada M. “Curcumin has potent anti‐amyloidogenic effects for Alzheimer's β‐amyloid fibrils in vitro.” J Neurosci Res. 2004 Mar 15;75(6):742-50. 3Deeb D, Jiang H, Gao X, Al-Holou S, Danyluk AL, Dulchavsky SA, Gautam SC. “Curcumin [1,7-Bis(4-hydroxy-3-methoxyphenyl)-1–6-heptadine-3,5-dione; C21H20O6] Sensitizes Human Prostate Cancer Cells to Tumor Necrosis Factor-Related Apoptosis-Inducing Ligand/Apo2L-Induced Apoptosis by Suppressing Nuclear Factor-κB via Inhibition of the Prosurvival Akt Signaling Pathway.” J Pharmacol Exp Ther. 2007 May;321(2):616-25. 4Shishodia S, Amin HM, Lai R, Aggarwal BB. “Curcumin (diferuloylmethane) inhibits constitutive NF-kappaB activation, induces G1/S arrest, suppresses proliferation, and induces apoptosis in mantle cell lymphoma.”Biochem Pharmacol. 2005 Sep 1;70(5):700-13. 5Kuptniratsaikul V, Dajpratham P, Taechaarpornkul W, Buntragulpoontawee M, Lukkanapichonchut P, Chootip C, Saengsuwan J, Tantayakom K, Laongpech S. “Efficacy and safety of Curcuma domestica extracts compared with ibuprofen in patients with knee osteoarthritis: a multicenter study.”Clin Interv Aging. 2014 Mar 20;9:451-8. 6Hewlings, Susan J., and Douglas S. Kalman. “Curcumin: A Review of Its’ Effects on Human Health.” Foods 6.10 (2017): 92. PMC. Web. 24 July 2018. 7Antony B, Merina B, Lyer V, Judy N, Lennertz K, Joyal S. “A Pilot Cross-Over Study to Evaluate Human Oral Bioavailability of BCM-95? CG (BiocurcumaxTM), A Novel Bioenhanced Preparation of Curcumin.” Ind Journal of Pharmaceutical Science. 2008; 70(4):445-449. 8Shishu, Manjul Maheshwari. “Comparative bioavailability of curcumin, turmeric and Biocurcumax™ in traditional vehicles using non-everted rat intestinal sac model.” Journal of Functional Foods. 2010; 2(1):60-65. 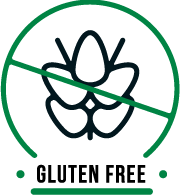 Other Ingredients: Medium chain triglycerides, gelatin, glycerin, sunflower lecithin, yellow beeswax, purified water, and tumeric dispersion in sunflower oil. Directions: Adults: Take one (1) to two (2) softgels daily with meals as a dietary supplement or as directed by your healthcare professional. Curcu-Gel® is a registered trademark of Tishcon Corp. BCM-95® is a Patented (US No. : 7,736,679 B2), CURCUMINOIDS COMPLEX with enhanced bioavailability and sustained retention time in the body. What are Medium Chain Triglycerides? Why are they added to the supplement? Medium chain triglycerides (MCTs) are partially man-made fats, usually derived from coconut and/or palm kernel oils. Contrary to the notion that this ingredient may be bad for your health, medium chain triglyceride (MCT) consumption may, in fact, have a beneficial impact on weight management. Clinical trial results suggest that MCT oil can be incorporated into a weight loss program without fear of adversely affecting metabolic risk factors. 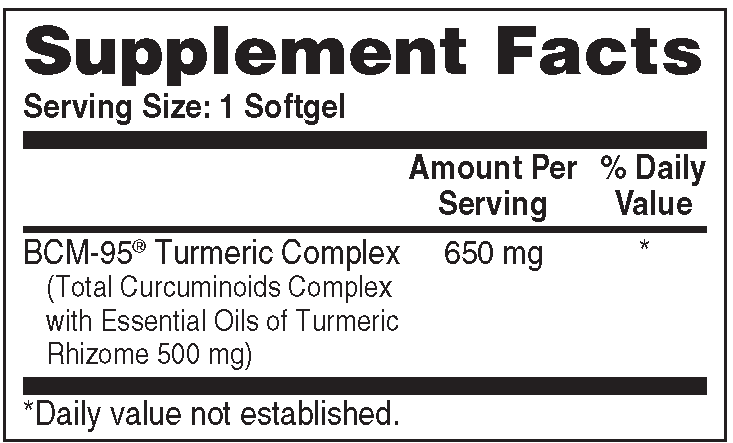 While, the amount of MCT’s found in this product are too small to help in any weight loss regimen, it is just enough to help absorb the Curcumin your body needs. What is Sunflower Lecithin? Why is it added to the supplement?